The meteoric rise of Conor McGregor will surely peak on Saturday when he takes on boxing legend and all time great Floyd Mayweather Jr.
Should McGregor win, it will be classed alongside the greatest shocks in sporting history. There are many who argue that it will indeed be the greatest upset in the history of combat sports. Having started our analysis of the Top 5 Shocks in Combat Sports History (Part 1) with Chris Weidman’s spectacular victory over Anderson Silva, we break down the remaining four jaw dropping moments in combat sports history. Prior to UFC 193, women’s bantamweight champion Ronda Rousey was named the most dominant athlete in the world in 2015. Having blasted through the UFC’s women’s bantamweight division like a battering ram, the former Olympian was considered a fighter who was close to peerless in the promotion. “Rowdy” was not just expected to win, but was a huge favorite over Holly Holm. “the Preacher’s Daughter” was at one point a +1000 underdog with the bookmakers to beat Rousey, who had finished most of the fights in her professional career inside 1 round. Given coach Edmond Tarverdyan’s insistence that “Rowdy” should strategize her fight based on her striking game against a former world champion boxer and kickboxer in Holm, in hindsight, those odds should not have been as high. Rousey was completely torn apart and eventually knocked out by Holm. The unstoppable force which the former 135-pound dominant champ was hyped to be was utterly shattered in jaw dropping fashion, probably ending her career in the process. The sight of Rousey beaten up and bloody will forever be one of the greatest shocks in combat sports history. In quite poetic fashion, UFC 69 saw things well and truly turned upside down. Matt Serra’s record in the UFC up until that fight was a very shaky 5-4 and he was considered to be so much of an underdog that most had written him off prior to him entering the octagon. UFC welterweight champion Georges St-Pierre was coming off the back of a win over arguably the greatest 170-pounder in the history of the UFC in Matt Hughes (well, it is between Hughes and GSP, right?) and was a heavy favorite to defend his title. Serra, on the other hand, was a +550 underdog who had gained a title shot upon winning season four of “The Ultimate Fighter”. When Serra connected with GSP, rocking him in the process, jaws dropped. As Serra followed up with the finish, there was absolute pandemonium in the crowd. St-Pierre would never lose again, taking his belt back off Serra almost exactly one year later at UFC 83. 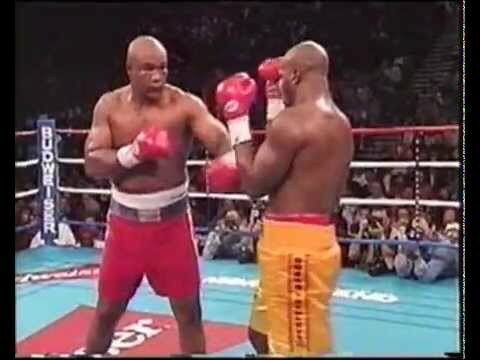 Anyone with an interest in boxing will be aware of the legendary power and force of one of the greatest fighters ever seen in George Foreman. It may be a surprise that Foreman’s name would enter the reckoning of notable sporting shocks, only to those who are unaware of this fight. “They were looking at me, and I had to look back at them, and pretend I wasn’t ashamed.’ I vowed at that moment, sitting on a hard bench in front of those people, that as long as I lived I would never again be involved in a stunt like this. Yes, those kids needed me, and I wouldn’t desert them. I’d just have to find another way to raise funds. UFC 214 Predictions: The Return of The G.O.A.T?